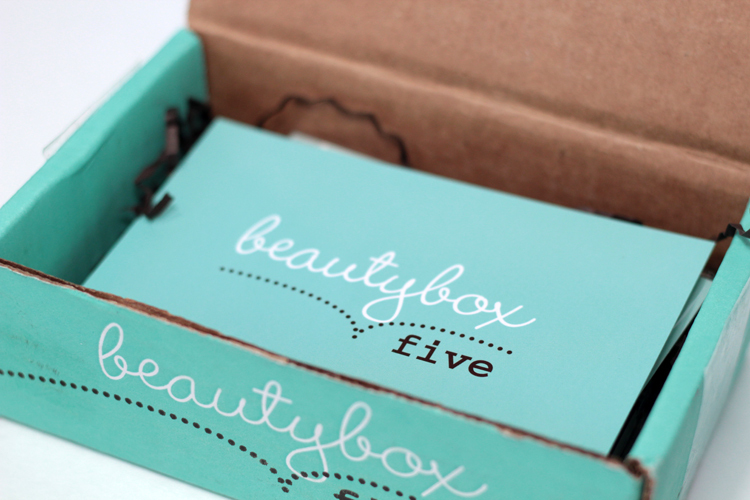 I am no stranger to beauty boxes & even though I'm on a beauty box diet, I wanted to share this Beauty Box Five (BB5) with you (and not just because this box was sent to me by the company). This box doesn't correspond to a specific month (i.e., it's not the May Beauty Box), but it's also not a special "PR only" box. From watching / reading unboxings over the last few months, I noticed that a lot of products in this box were featured in other boxes. So, I think it's a good representation of the variety of products / brands that you can find in the BB5. 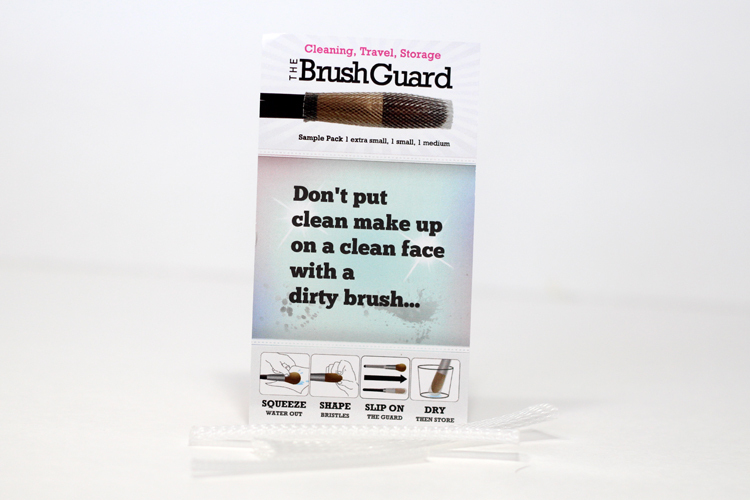 I love brush guards! They keep your brushes looking brand new. They're perfect post-washing your brushes. I also use them when storing brushes -- they keep the shape perfectly. This sample pack comes in three sizes (eye shadow, blush, and foundation). I use mostly the blush & foundation size. 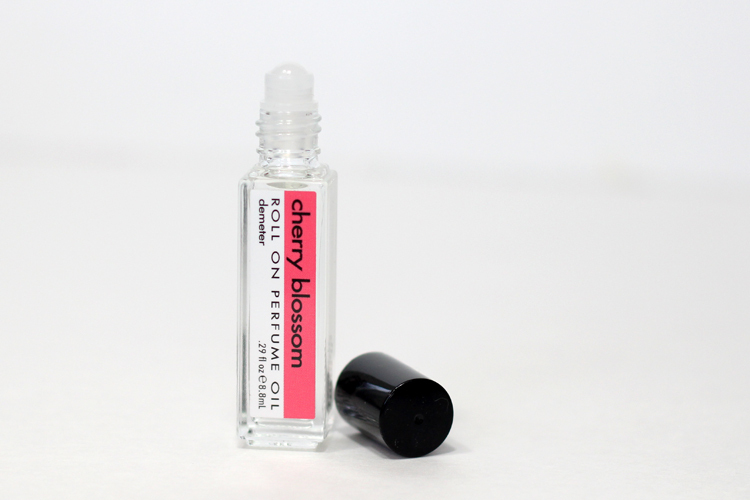 I've ordered a few rings from Demeter and I haven't been disappointed yet, this Cherry Blossom fragrance is no exception. I love the light, floral scent. I love the rollerball. It's a great travel companion. This is a repair mask. It's supposed to moisturize and condition your hair. It's colour safe, non-toxic, and works on all hair types. I haven't tried it yet, but I'm eager to because my hair loves deep treatments. I don't wear foundation, but I still like using primers. They generally make my skin look smoother and help my makeup last longer throughout the day. This is a colourless primer. It feels (and performs) very similar to the Smashbox Photo Finish primer. It has that silicone texture, but it feels lightweight on the skin & it blends easily. 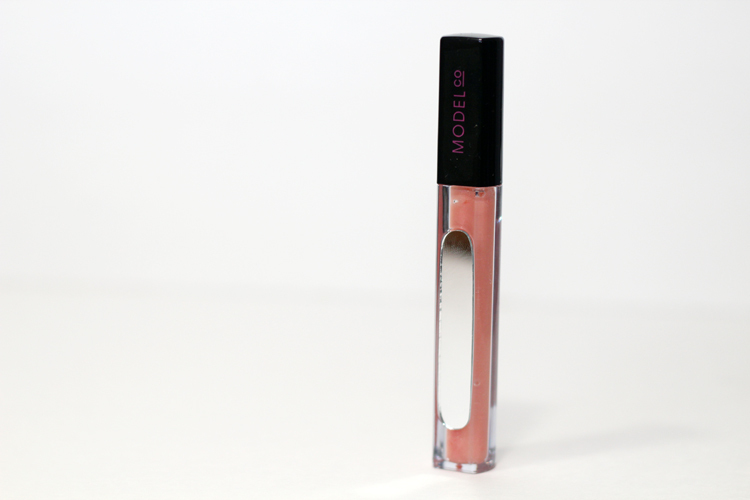 A sheer shimmery peach / apricot shade. I'v worn this a couple of times & I like the formulation. 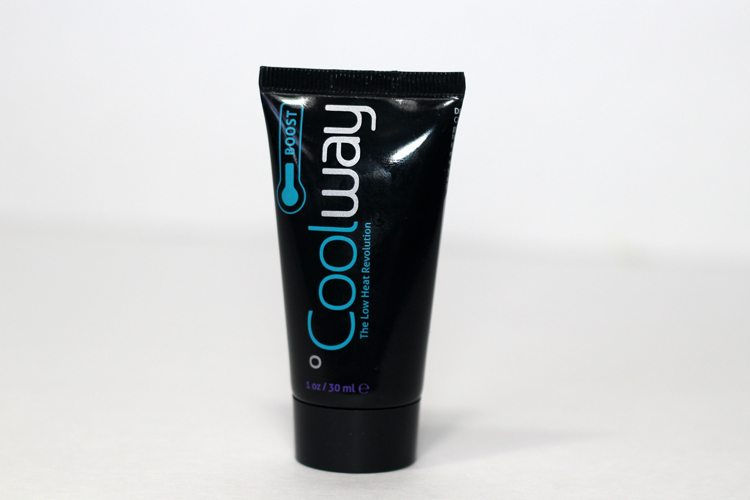 It is fairly moisturizing, non-sticky, and easy to apply. It also smells great, it has a sweet scent to it. The packaging is nice, too. It has a doe foot applicator & a little mirror on the side of the tube. Originally I thought it was gaudy, but it came in handy a few times. So, BB5 is $12 per month and they ship from the US. Each box will contain 4-5 different products. 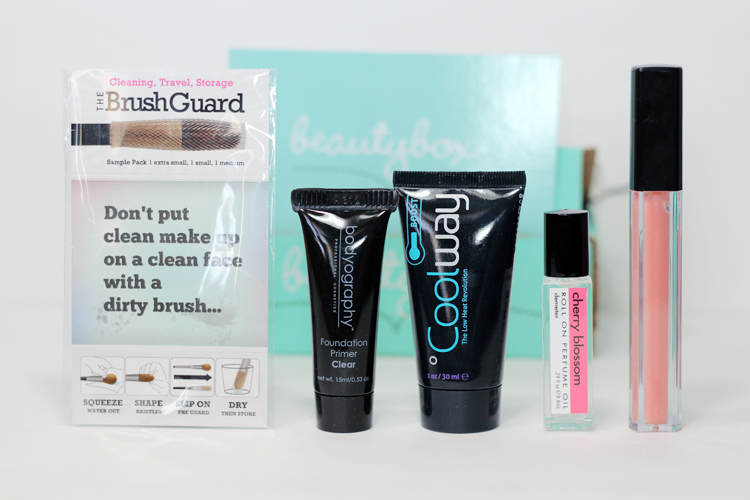 You can check out their website at Beauty Box 5 (dot) com for more information. Have you tried any fragrances from Demeter? Which is your favourite? I have to say Dirt is my most unexpected favourite. looks like a great box! i've only tried the classic fragrances from demeter like cherry blossom, baby powder, honeysuckle.. want to start experimenting though. thanks for the dirt recommendation! Did you know that Glymm went out of business? 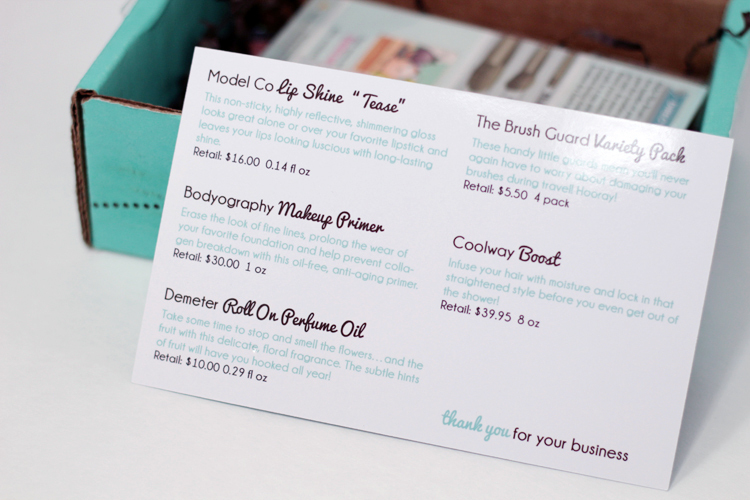 Do you think that's the future of beauty boxes? Ooh this is my first time hearing about this box. Looks interesting! I am in LOVE with Dirt! !